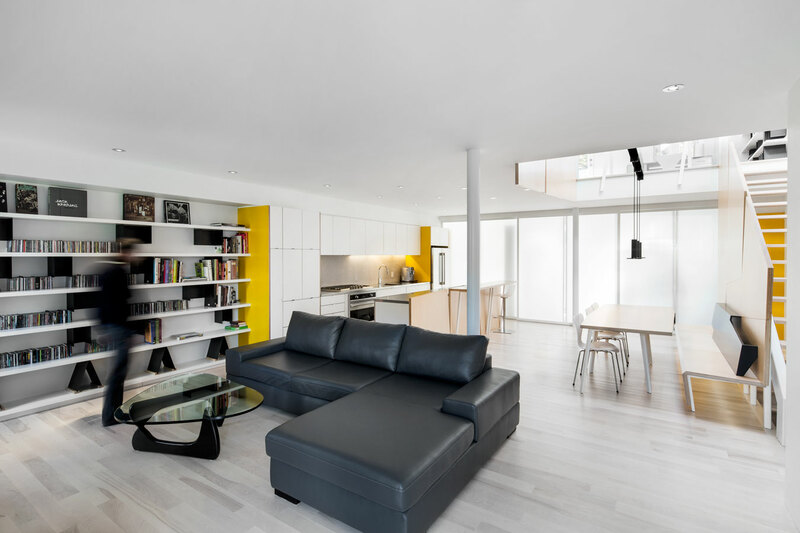 We were hired by a young couple to do a complete renovation of a house built by the clients grandfather, now housing its third generation of the same family. 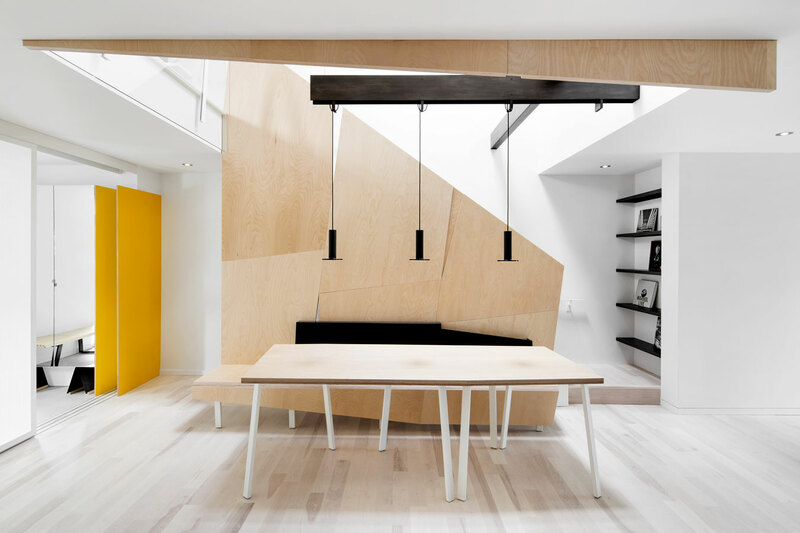 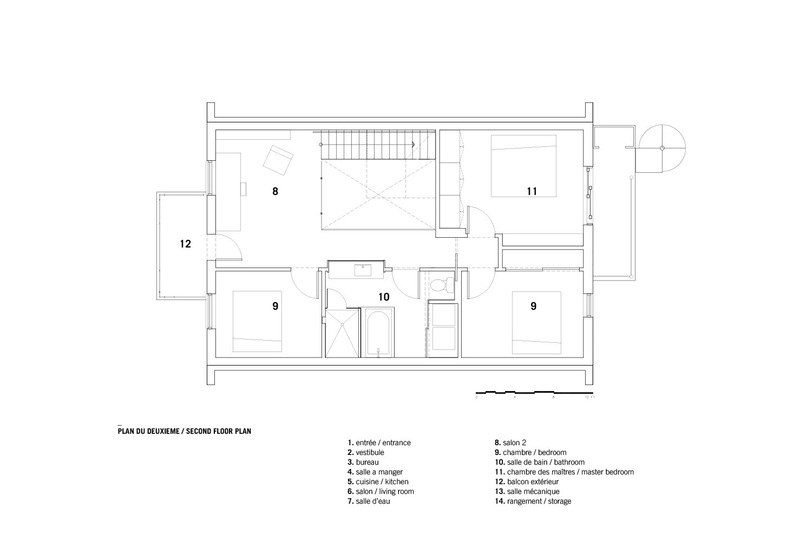 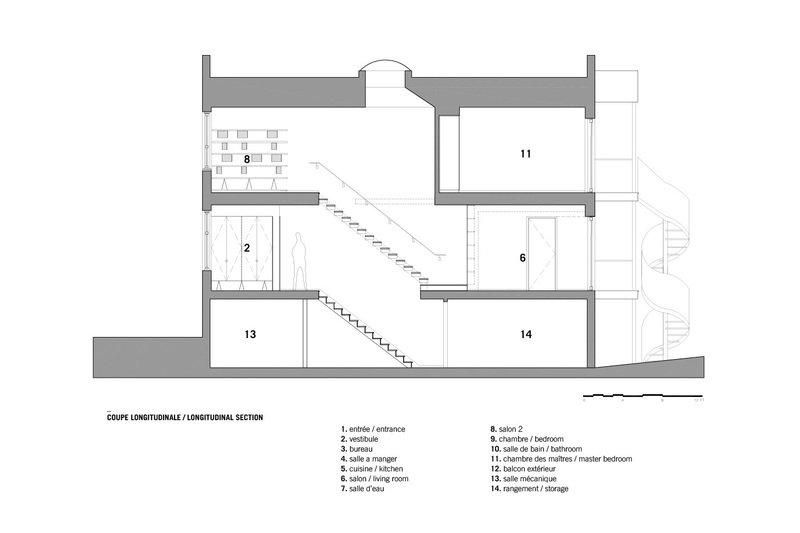 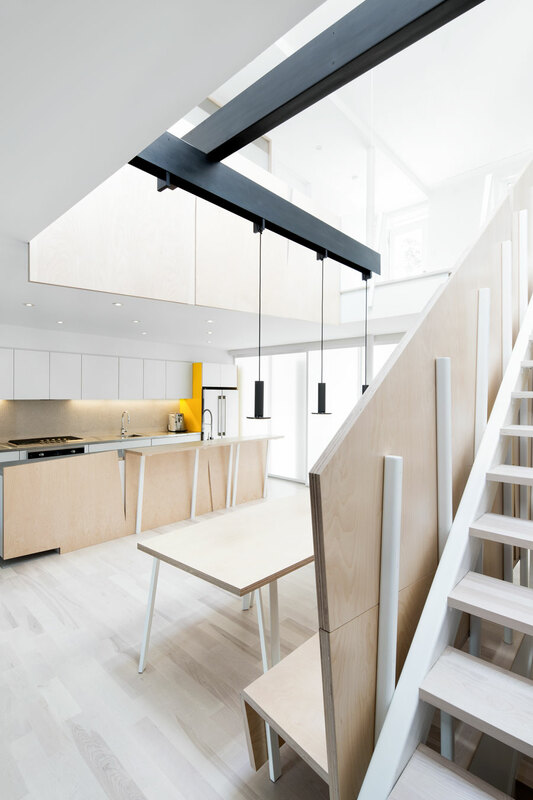 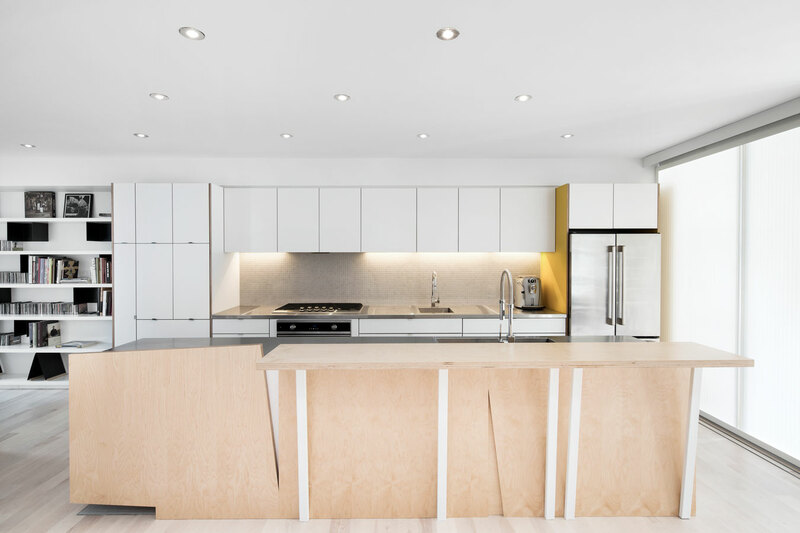 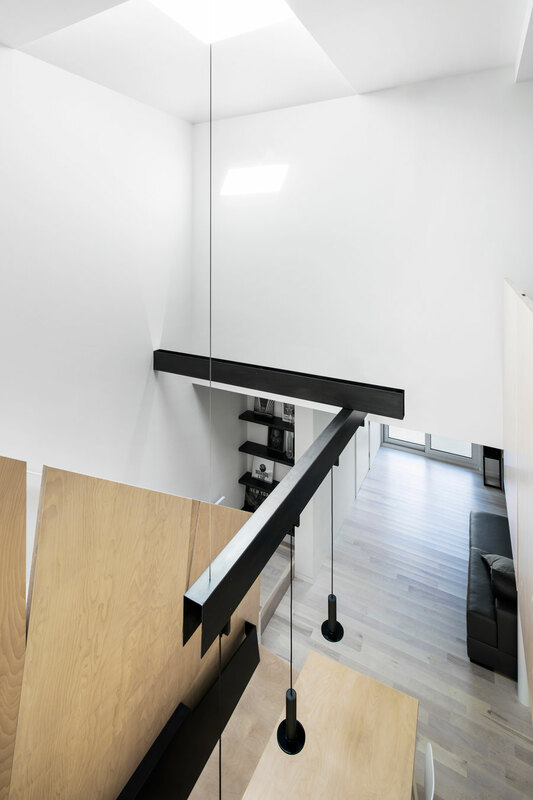 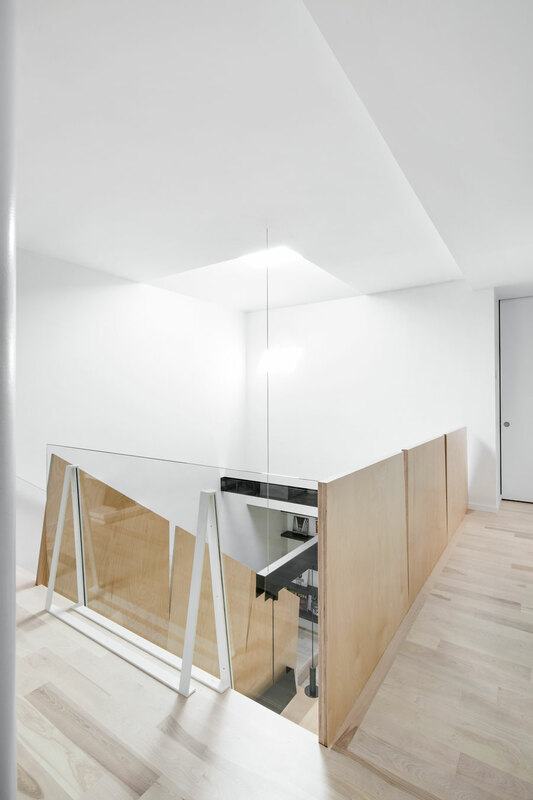 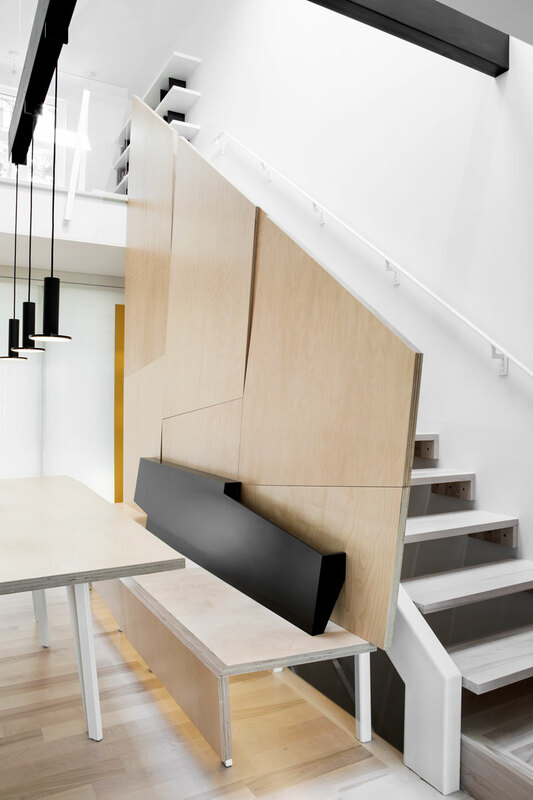 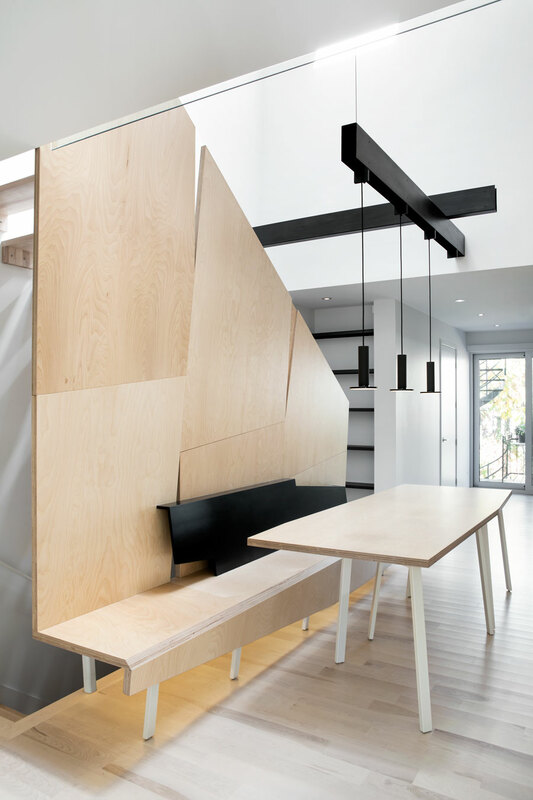 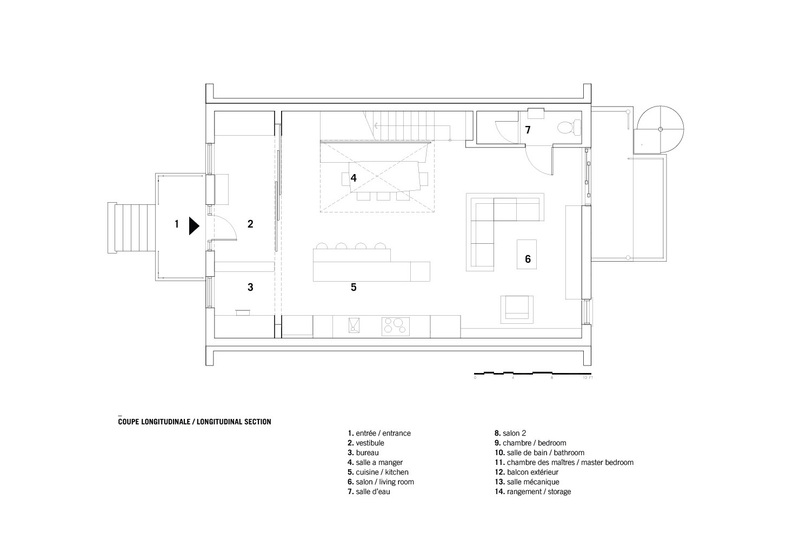 They wanted to combine the two existing apartments into a single family house on two levels. 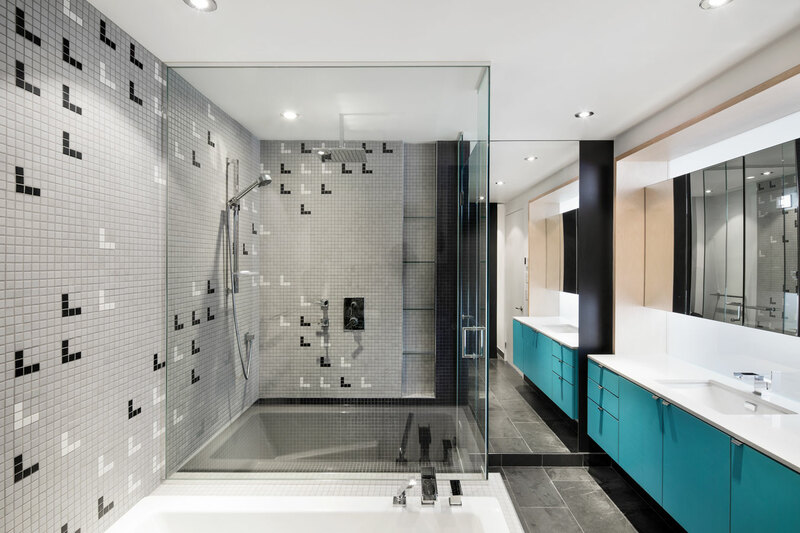 Their request was that we created something modern and bright. 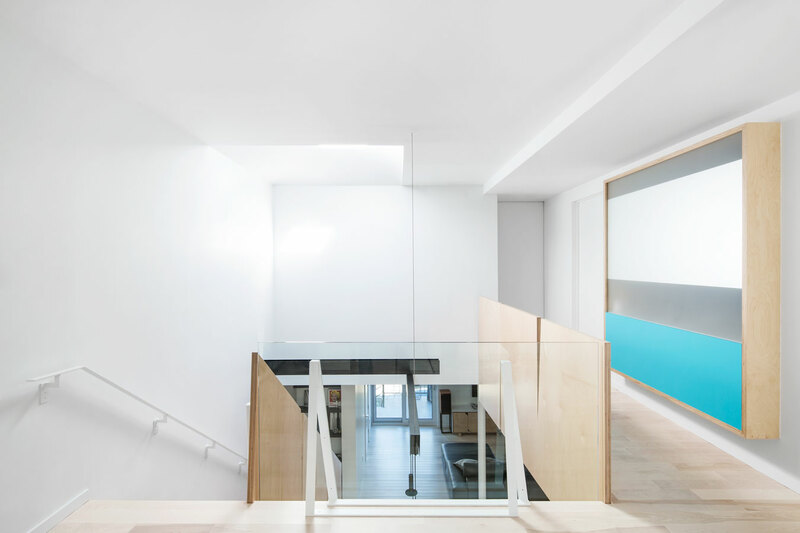 Due to the noisy street at the front of the house, the main living spaces were placed at the back facing north creating the challenge of bringing direct sunlight into these spaces. 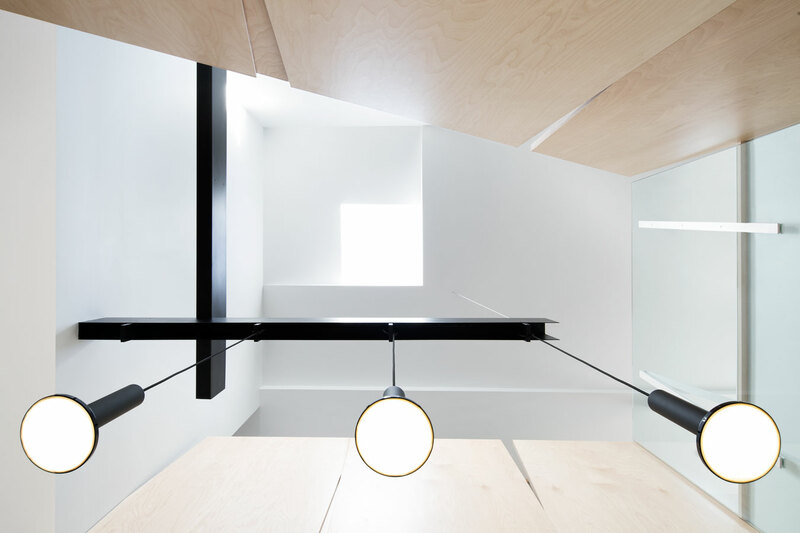 A double height light-well topped with a skylight, aids in bringing light to the centre of the house.